3D Scanning is the process of capturing physical data and processing it into digital data. The scanning process works by first using a laser to take thousands of data points a second that each have a specific X, Y, and Z coordinate value, known as a point cloud. The point cloud data is then post-processed into a polygonized mesh model (.stl), which can be used for rapid prototyping, part inspection, or reverse engineered to be a solid or surface model. Dimensional Engineering has had years of experience utilizing 3D scanning technology. Our advanced equipment allows us to scan parts from as small as a screw to as large as a semi-truck without losing scan quality and accuracy. Our 3D scanning services have been used for Dimensional Inspection and Reverse Engineering over a wide range of industries. Capturing a physical object as accurately as possible is our specialty. 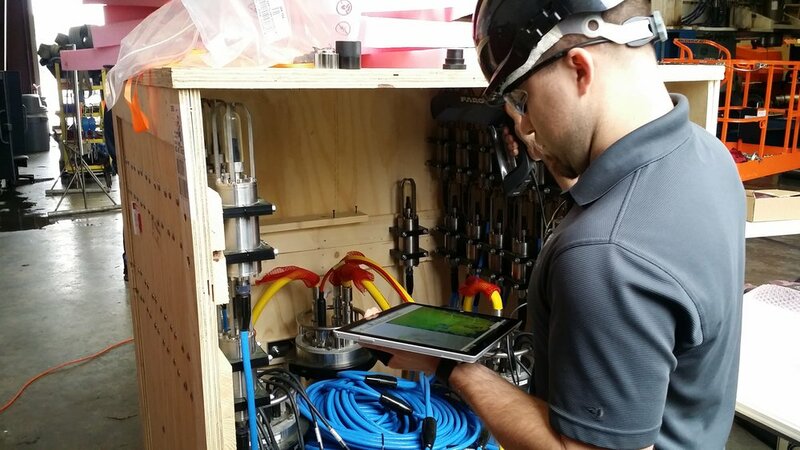 Our Technology Toolbox is filled with data acquisition equipment that can surpass any clients request. Whether you need a Reverse Engineered CAD model or Quality Inspection Report of a manufacturing run, we can meet your specific goals. We are the experts and have the portfolio to prove it.